We want to wish the best of this holiday season to you and we hope you enjoy the time with your closest family and friends! Natasha and I are so grateful to all of our past and current wonderful clients. This year has been a whirlwind of excitement for us and we could not be more thankful. It is because of each of you that we’re really able to do what we love. 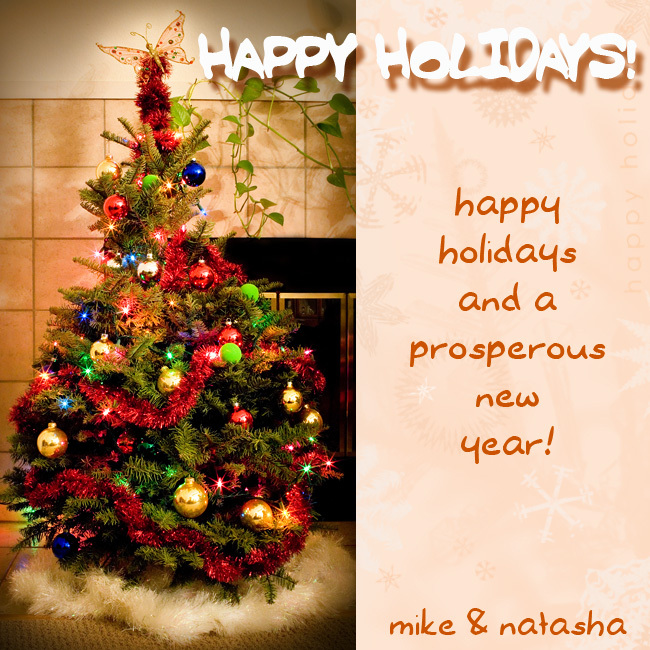 Happy Holidays to you both as well! We just had the chance to look through the new website and play around! It looks great! Good luck with the new company name! Congratulations!